Many of the most common illnesses of childhood can be quickly and effectively treated at home with homeopathic medicines. The homeopathic approach is growing in popularity as an alternative treatment for hyperactivity in children. Homeopathy is gaining recognition in the conventional field of medicine. Homeopathy is ideal for babies and children as it is a gentle yet highly effective system of medicine. Children respond wonderfully to simple homeopathic remedies. The mildly sweet pills, powders or liquids are easy to dispense and are more palatable than many conventional medicines. Homeopathic remedies are safe to use in the very young, including newborn babies. Clearing every parent’s doubts about Homeopathy treatment for kids is Dr. Annapurna Yemmanuru – MD (Medicine)(Homeopathy) in this interview with KidEngage. 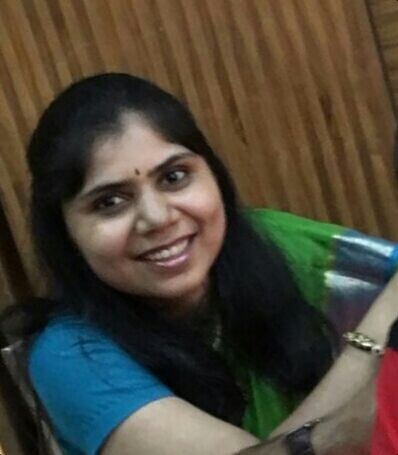 She has completed her MD from Mumbai; and is having an experience of 7 years in this field. She is working as a homeopathic consultant in a private clinic,in Srinagar colony, Hyderabad. Q1. Is the potential for homeopathy much greater than conventional allopathic medicines and is it a useful treatment for many of the more chronic and more serious problems that occur in childhood? Dr. Annapurna: Homeopathy is an age old science, its origin dating back to 18th century, having its roots in Germany and based on its strong principles. Since then this science is been practiced widely all over the world. Q2. The number one reason that parents bring their children to a homeopath is because homeopathic medicines are so much safer than conventional medicines. How true is this? Dr. Annapurna: Since when do you know about this science? May be as a child you heard your grandparents dispensing or using these medicines. Or maybe your mom must have used these for you! Why did people resort to homeopathy? Or what is so good about this science that people are turning towards it? Q3. Do children respond better to homeopathic medicines? Dr. Annapurna: One reason is, Homeopathy acts very well in children, even better than in adults. Kids are sensitive (susceptible) even to slightest impression, and this is true even for homeopathic medicines. Slightest dose gives immediate good result. Another important reason being, it is known to be very safe and devoid of any side effects. This is even the main reason why parents turn to homeopathy for their little ones. Q4. You can really change a child’s life, both physical and psychologically, with the correct homeopath. What really is the stark difference between homeopaths and regular pediatricians? Dr. Annapurna:This, I can say, is partly true. Under the cover of homeopathy, we get different over the counter preparations which are widely publicized and dispensed. These are neither really good nor effective. Yes, if you take a proper treatment from an experienced homeopathic doctor, this statement is 100% true. Like, I have seen parents using some tonics, or ointments or tablets for dentition, or some skin complaints, or colic. I will quote an example as to why these over the counter preparations don’t work. Suppose two kids are suffering from cold…what would you expect? Obviously, there would be nasal discharge, cough, some fever, body ache, lethargy, loss of appetite. And conventional medicine would be prescribed on this data. But, if we observe the kids, one is cranky and irritable, the other one is touchy and weeping…one has sleepiness and the other one is not able to sleep…one child is worried about her school and homework and the other kid wants to be at home. There is so much difference in their behaviors. It is on these differences in symptoms that homeopathic medicines are prescribed. Medicines are prescribed based on the symptoms of the child, and hence the medicine is very unique for each child, though suffering from the same illness. So, it goes without saying that the over the counter preparations of homeopathic medicines are not useful, rather, they can cause harm. Q5. The overuse of conventional drugs to lower fevers. Are we creating a lot of chronic disease when we suppress acute illness? Dr. Annapurna: The fever, body ache, nasal discharge would be controlled immediately. But, the nose becomes dry, there remains some stuffiness, altered taste in the mouth, appetite remains low. Conventional medicine acts by negating the effects of the body’s immune system; there by gradually weakening the immune system. This may or may not result in suppression in the long run. It may or may not give rise to ore chronic diseases. It depends on the constitution of the child. Each child reacts differently. Q6. Can homeopathic treatment help make a parent’s life much easier and much better?How long would a parent have to wait for results after giving a homeopathic remedy for any severe infection? Dr. Annapurna: Here, I can quote a few examples. A child was suffering from cough with rattling sound in chest since 1 day, with fever. He was very cranky, irritable, and inconsolable. Mother was tired of continuously carrying him n soothing him. The breathing was heavy, labored with a wheezing sound. Obviously, the parents get panicky when such a situation arises. This patient was back to normalcy within 24 hrs. Another example, where, an infant had developed some kind of oozing eruptions on the neck and chest since few days. The parents resorted to conventional medicine. They applied some ointments, but the child didn’t improve. Then they took homeopathic medicine, which relieved the child in a span of 48 hrs. Not only these, but there are many more such cases where homeopathic medicine has relieved the complaints within a span of minutes to hours, whatever the case may be! Q7. Can homeopathy stand on its own to meet all of a child’s medical needs? Dr. Annapurna: Obviously, here arises next query; is it applicable for all the cases; even the more serious and grave ones? Homeopathy has its own limitations too! Sometimes, surgery may be mandatory; sometimes, other medical aid like oxygen or IV solutions or blood transplantation or similar things could be required even when on homeopathic treatment. This is true for any system of medicine. Q8. Can a homeopath also help to improve a child’s behavioural pattern? Dr. Annapurna: Yes, a homeopath will take care of each and every aspect of the child. Not only his physical well being, but also his behavioral, emotional and intellectual aspects. A homeopathic medicine has the power to alter a child’s thinking, his level of adaptation and acceptance of situations, also curtail his emotional reactions apart from boosting his immune system. It helps the child to live or adapt in a better way. Q9. What about children who may not have such severe problems, what would be the benefit in treating them? Dr. Annapurna: In that case, there is no need of vigorous treatment. If the child is physically fit, emotionally strong and sound, his reactions are in proportion to the situation…there is no need of treatment. There is another aspect where in case there is strong family history of dreadful diseases in the family either from paternal or maternal side, homeopathic medicine can prevent or prolong such diseases in the child in future, with a dose of constitutional medicine off and on. In any acute cases, as explained above already, a dose or two of homeopathic medicine restores the child to normalcy within a short span. Especially in infants or kids who can’t speak out their symptoms, or in kids where the diagnosis is not possible; homeopathy is a better option; as the homeopathic physician can observe the child, and make out his symptoms and prescribe accordingly. In chronic cases; like asthma, eczema, chronic colds, arthritis or any other chronic recurring troubles; homeopathic medicines reduce the frequency of the recurrence of acute attacks and also drastically reduce the intensity of the suffering each time. It also makes the child less sensitive to the environmental changes which bring on or aggravate the complaints. For e.g. If a child gets asthmatic attack from every spell of cold; a homeopathic medicine will reduce this sensitivity to cold and the child would be able to tolerate cold without getting any complaints. A child with lactose intolerance would be able to tolerate milk in a better way with homeopathic treatment. In birth deformities, where some structural deformity hampers the functioning of that child; homeopathic medicine will help him function in a better way, though the structural deformity remains unchanged. In genetic disorders as in autism, or Down’s syndrome; homeopathic medicine helps achieve their milestones properly, adapt properly and hence beautifully enhances their overall performance and functioning. Q10. Once under homeopathic treatment, does my child need to be vaccinated? Dr. Annapurna: This is a much controversial topic. There is nothing called homeopathic vaccination. Whenever there is an outbreak of any epidemic, homeopathic medicine definitely helps to prevent contracting that disease. But, this and vaccination are different. Some kids have severe side effects of vaccination; where again homeopathy plays a very important role in negating those side effects. Previous Rakhi DIY Ideas from KidEngage for kids to make at home! Next 5 Books that will help kids to understand the “love-hate” sibling bond!